Qumran caves tours,from Jerusalem, Tel Aviv, Eilat or the Sinai. consubstantiality with the skirts of the Lord. We received the 'Tripadvisor Award of Excellence' of 2010, 2011, 2012, 2013, 2014. 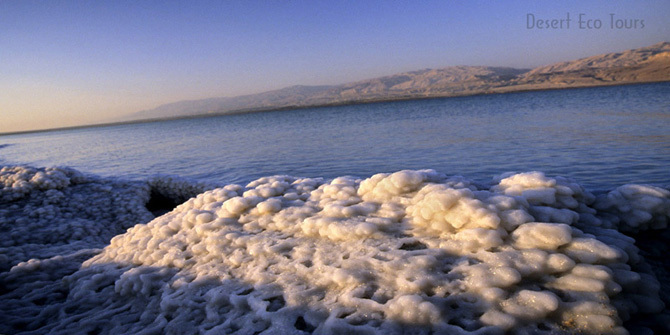 This day trip takes in the natural and historic highlights of the Dead Sea area. As we start our tour and head south from Jerusalem to the Judean Desert and the ruins of Qumran a 2,000-year-old village most notable as the site where the Dead Sea Scrolls were found (in nearby caves). We tour the site and caves before continuing to the Ein Gedi Nature Reserve, We enjoy a walk through the reserve visiting the springs and waterfalls and taking in the contrast between this lush oasis and the stark desert scenery which surrounds it. 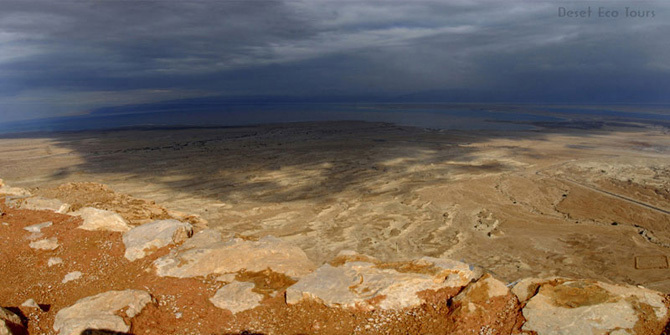 From here we make our way along the Dead Sea shores to one of Israel's most remarkable historic sites Masada. 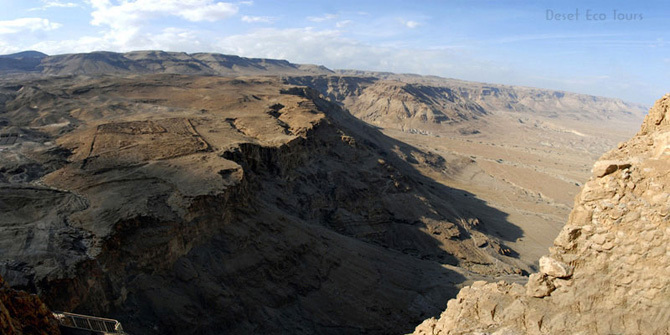 We ascend Masada by cable car and tour it's fascinating ruins. Masada was a palace of King Herod and it was on Masada that nearly 1,000 Jews resisting Roman rule held out against the forces of the Roman armies before taking their own lives rather than surrendering to the Romans. 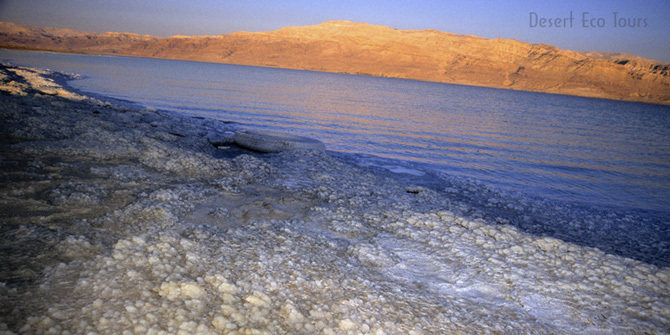 We take in the spectacular Dead Sea views before heading back down to the Dead Sea and on to the Ein Gedi Spa. He we bathe in the spa's whirlpools of natural mineral water, get caked in the healing Dead Sea mud and take a swim in the salty waters. We complete our tour and begin our return journey to your Dead Sea hotel, Jerusalem or Central Israel. Price from Eilat: 2 people- 695$ in total, 4 people in small car- 225$ p.p. in 7 seater- 255$ p.p. 5-6 people- 199$ p.p. We leave Eilat and drive through the Great Rift Valley that leads us through the southern Negev towards the Judean Desert and includes the Dead Sea area. Masada overlooks the Dead Sea and is one of Israel's most remarkable historic sites. We take a cable car from the foot of the towering cliffs to begin our tour of Masada's ruins. We tour Masada taking in the Northern Palace, Bathhouse (King Herod's spa), The Great Pool, Byzantine church, the Synagogue and the Roman villa. We see the snake path and the Roman ramp. Your guide will brief you on the fascinating history of Masada, which was originally constructed over 2 thousand years ago. Throughout history Masada has most notably been a luxurious Palace of King Herod and the site of the valiant Jewish resistance against the forces of the Roman army (and ultimate mass suicide.) We enjoy the spectacular views over the Dead Sea and Jordan's Edom mountains before descending by cable car to the shores of the Dead Sea. We continue to the oasis of Ein Gedi in the Ein Gedi Nature reserve. Ein Gedi is renowned for its springs and waterfalls and we take a short walk into the reserve, enjoying the oasis scenery and it's largest waterfall. We visit the Dead Sea's famous Ein Gedi Spa where we bathe in the natural mineral rich waters, we also bathe in the Dead sea itself and get caked in the rejuvenating Dead Sea mud. Following our visit to the En Gedi Spa we complete our trip and leaving the Dead Sea and Masada behind us, we begin our return journey to Eilat. Arriving in Eilat by evening. Price: 2 people- 795$ in total, 4 people in small car- 225$ p.p. (in 7 seater- 255$ p.p.) 5-6 people- 199$ p.p. The best time for touring the Negev Desert is from November through to April. Southern Negev Tour: Eilat Mts.